Following the success of #RenewYoungJustice in bringing back Young Justice for a third season, show runner Greg Weisman is trying to resurrect another of his cult favorite series… well, sort of. When Weisman was Director of Series Development at Disney’s Television Animation Division, he would be inspired by the series Adventures of the Gummi Bears and the film Gremlins to create a comedic series about little medieval creatures brought into the present. When that pitch was passed over, Weisman retooled the concept into what became Gargoyles. Featuring a clan of Gargoyles who are transplanted from medieval Scotland to present day New York City via sorcery, Gargoyles explored many complex issues like racism, interracial/cultural love, ethnic cleansing, and slavery in a world drenched in mythology and historical and literary references. 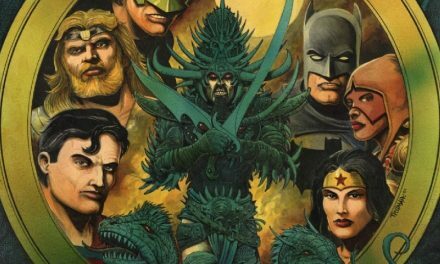 Despite such heavy topics and educational elements, Gargoyles was overflowing in action featuring magic, monsters, robots, mutates, clones, cyborgs, aliens, and much more. In creating such a rich fiction, Weisman would do something rather rare and step away from his role as an executive in order to act as writer and producer for the series. Gargoyles paid off going from thirteen episodes in its first season to an order of fifty-two for its second. 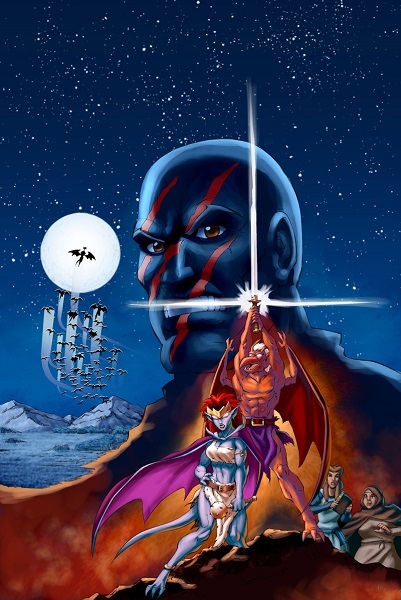 However, intended as a rival to Batman: The Animated Series, Gargoyles‘ second season wouldn’t return the success Disney had hoped for it and canceled the show (ABC would order a sequel series in Gargoyles: The Goliath Chronicles with a new staff that would consequently flop). Following Gargoyles, Greg Weisman continued to work in animation as a writer and producer for shows like The Batman and W.I.T.C.H. However, in 2006, Weisman was given the opportunity to continue his work for Gargoyles in printed form for Slave Labor Graphics (SLG) Publishing. Having had worked in comic books before getting into animation (at DC Comics writing for Who’s Who: The Definitive Directory of the DC Universe and Captain Atom), Weisman wrote a new Gargoyles series picking up from the end of the second season as well as a spin-off Gargoyles: Bad Guys mini-series featuring reformed Gargoyles rogues seeking redemption (with several more spin-off mini-series in The Dark Ages, Pendragon, and Timedancer intended). 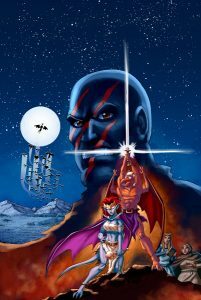 Unfortunately, Disney raised the licensing fee for their work and SLG canceled both series publishing the final four issues of Gargoyles and two issues of Bad Guys in their respective trade paperback collections. Weisman again moved on, co-producing popular series like Spectacular Spider-Man, Young Justice, and Star Wars Rebels. Despite years of resting in a relative limbo, interest in Gargoyles persisted. 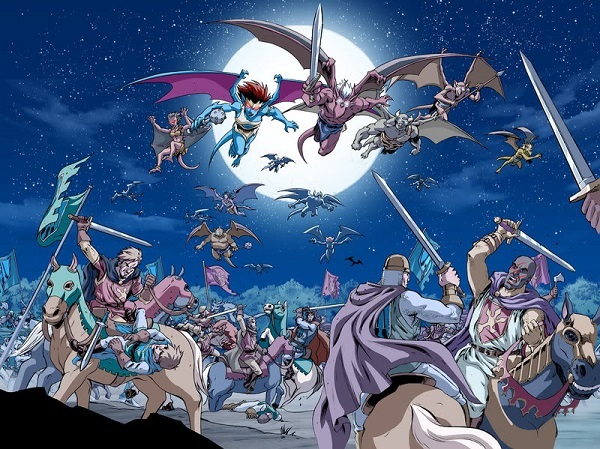 For eleven years following the cancellation of the Gargoyles cartoon, annual fan conventions called the Gathering of Gargoyles hosting those involved with the series were held while Weisman would consistently to this day answer questions regarding the show on his Ask Greg blog (which now include queries into his various other productions). In this spirit, Weisman and the collective community of Gargoyles fans are trying to resurrect the show in comic book form with #WeLiveAgain. Several years ago, Toronto-based publisher Joe Books would secure a license to produce books featuring Disney characters to much success. In particular, the company has made “cinestories” featuring screenshots of films and television series like Frozen, Finding Dory, and Gravity Falls as story books. 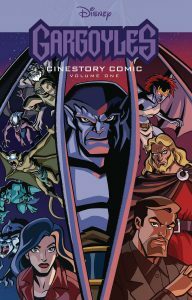 Of particular note, a cinestory of the first five episodes of Gargoyles is planned for release September 26, 2017. In addition to cinestories, Joe also publishes comics having reprinted the first sixteen issues (and annual) of Boom! Studios’ Darkwing Duck as an omnibus before beginning publication of a new series picking up where the book left off. 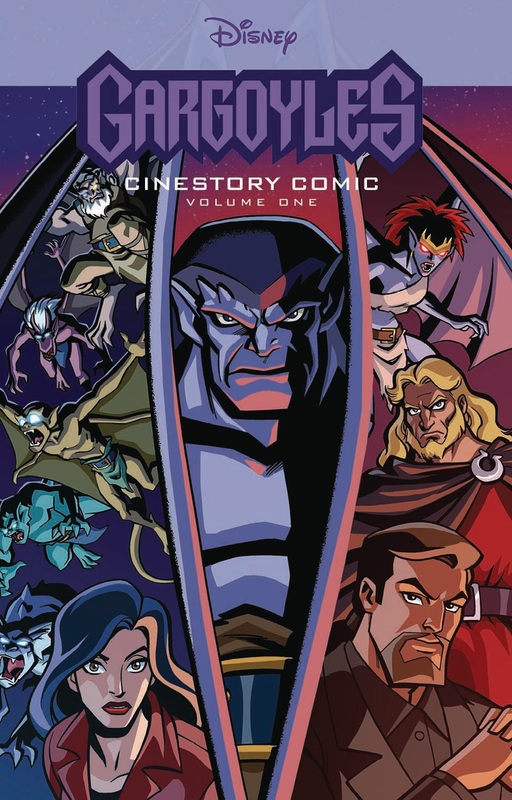 Given the cult-like following of Gargoyles, the established history of Joe Books’ interest in reproduction/resurrection of past work, the upcoming Gargoyles cinestory, and the relative fame of Greg Weisman given his role in Young Justice, the time is ripe to reprint the SLG Gargoyles comics and bring back the series. Joe Books simply needs to be politely and respectfully made aware of the depth of interest in this course through #WeLiveAgain in much the same manner of #RenewYoungJustice. New Gargoyles content would be freaking great man. 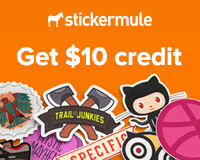 Like really, really, REALLY great.